It’s been a while since I did a round up of films, because I’m a bit rubbish. I am toying with the idea of making it a month-end post, so that I actually have a schedule for them. I still want to be able to write My Thoughts On… posts when I can, but the truth is that they might be a thing of the past, sadly. We’ll see what 2015 brings! 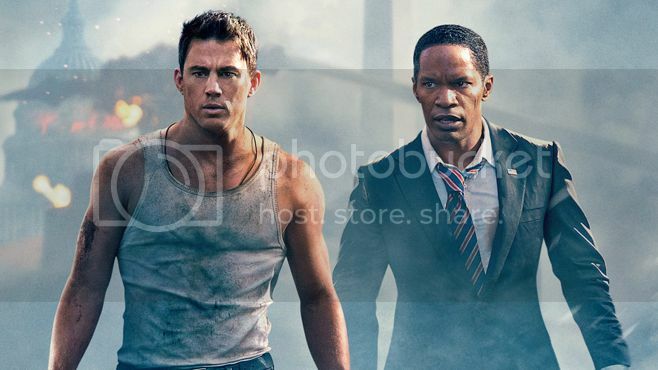 I watched White House Down so long ago! It was while I was house/nephew-sitting at my sister’s, and it was on their television, so I sat and watched it. Much was made when it was released in the same year of Olympus Has Fallen, and most people agree that this is the better of the two films. I didn’t hate Olympus Has Fallen, and I didn’t hate this, but I’m not sure that either is better or worse than the other one. I don’t like Gerard Butler, and I don’t like Channing Tatum, and I’m no Jamie Foxx fan either. I know that most people think this has got more of a sense of humour than the other film, and I guess that’s probably true. The destruction of the White House didn’t offend me so much in this as it did in Olympus Has Fallen. All in all, it’s a perfectly entertaining way to spend a couple of hours, but it’s far too long for me to consider rewatching any time soon. It pains me that I haven’t given Pride its own post, because it’s the best film I’ve watched all year. It’s hard for me to explain just how much I loved it, but I’ve barely stopped thinking about it since I saw it two months ago. It’s heartwarming in the way that all the best British films are, but it’s better than all the others, because it’s poignant, important, sad, celebratory, and all the things. Pride really is *all* the things to me. It made me feel sad that I wasn’t there in 1984 to be a part of LGSM. I bought the soundtrack, because I think it has an awesome soundtrack, and because that was the closest I could get to having the film in my life again. I am waiting with bated breath for a release date for the DVD. I watched Moonstruck because it was on the AFI 100 Laughs list. It was another one of those comedy films that was fine, but that I didn’t really laugh at. 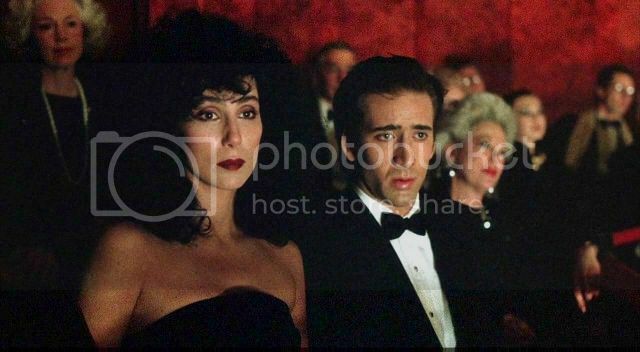 In fact, I honestly can’t remember laughing once at Moonstruck! It’s not that I didn’t enjoy it, I did up to a point, but it didn’t rock my world. As a devoted Wittertainee, there are certain films that I know I should have seen, and haven’t. Silent Running was fairly near the top of that list, because it’s one of Dr K’s favourite films, and he references it all the time. I thought it would be good to understand those references, so I found it on a foreign Netflix, and had a watch. I was pleasantly surprised by it; I didn’t expect it to be as heartbreaking as it was. The environmental messages also have a strong prescience today, which is clever considering it was made in 1972. I pretty much hated Airplane! I knew I was going to, because it’s just not my type of film AT ALL, but I was nearing the deadline for my AFI 100 Laughs challenge, and it was on Netflix, and I made a deal with myself that I’d watch a film from the list that was the shortest one that was also on Netflix, I had to watch it, because it’s only 88 minutes long. It made me smile once, and once only, which I know is not the standard reaction. I’m sure it’s fabulous if you like this kind of film, but I really don’t. Never again. When I want to watch a film, I nearly always turn to Netflix to try and find something. I always forget that there are often some really good films on BBC iPlayer, that I will have missed on the television, because I don’t ever get around to watching much television. This was the case one Sunday morning when I chanced upon Top Hat on iPlayer. There were actually a number of Fred Astaire films on there, but this was the only one I managed to watch. I really like Fred Astaire, I always have, and I think he’s the best movie dancer there is. Top Hat is a silly film really, with a farce for a storyline, and a muddle up that could easily be straightened out. 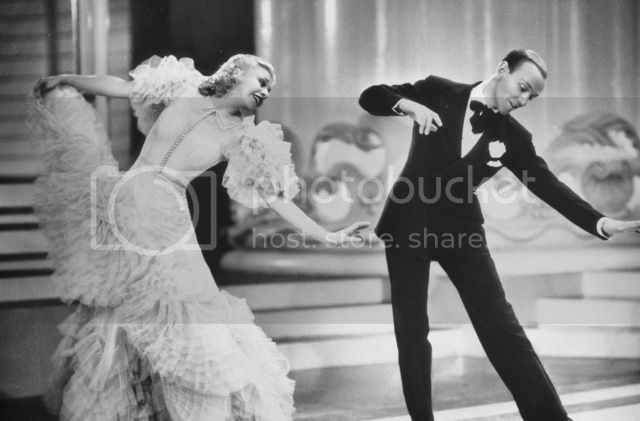 But it’s fun, and the dancing, being Ginger Rogers and Fred Astaire, is superb. 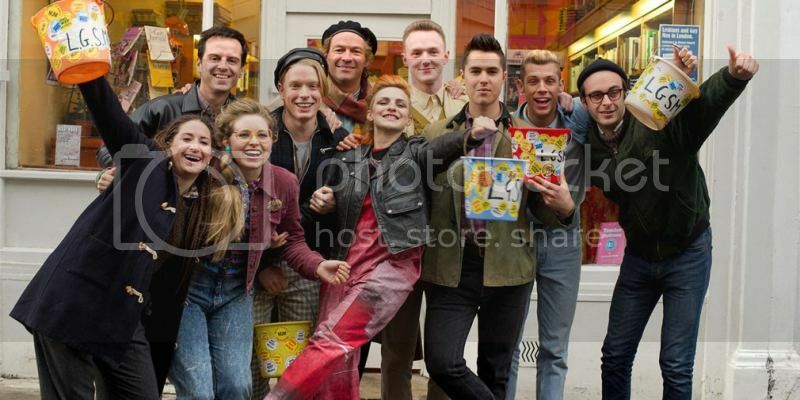 I really want to see Pride – I need to make time to see it. 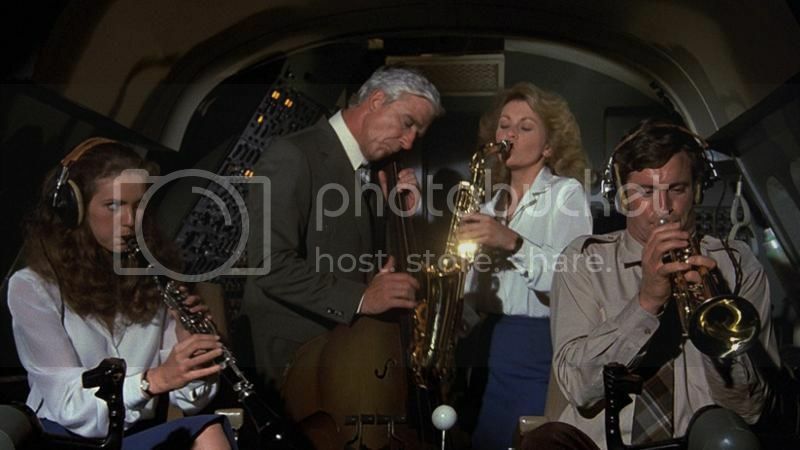 HOW COULD YOU HATE AIRPLANE!!! I love it. It’s controversial and you could never make something like that now, and I hate the racist/sexist etc parts, but like with the “drinking problem” I love how silly it is. I can’t help it, Airplane just isn’t my jam! I just don’t get the humour – I understand why other people find it funny, it just doesn’t tickle my funny bone! Pride is much more up my street – I laughed and cried at that! Watch it as soon as you can! Great choice on Top Hat. Got to admit, Fred Astaire and Ginger Rogers really got me into the 1930’s and vintage stuff as a whole. I’d highly recommend Follow the Fleet if you haven’t seen that already. I haven’t seen Follow the Fleet, so I’ll seek it out. I wish there were more old films on Netflix – they don’t seem to have anything beyond the seventies!